It is an early morning, and no traffic has come this way, one suspects, so far this summer day. This scene is near Seven Bays Resort, Washington. 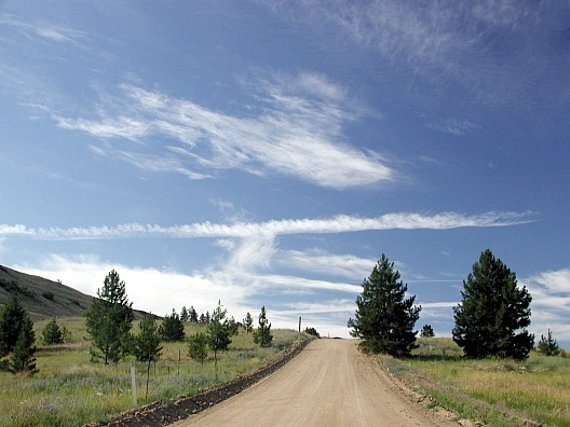 Later many jets will leave their highly temporary marks in the sky as they travel over this remote part of the Northwest.